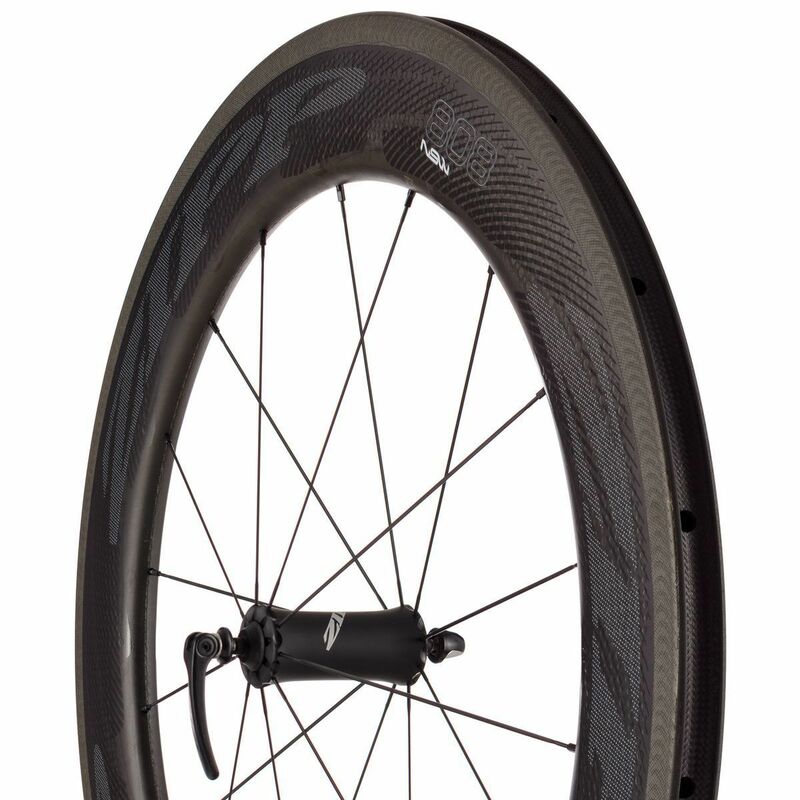 If speed is your main focus, you are going to be thrilled with what the Zipp 808 has to offer you. Not only is it an excellent racing wheelset, it is just as good for everyday use. It is easy to set up and maintain, is fast, and most of all can handle itself in tough situations. The reputation of the Zipp 808 really did precede it. This is a wheelset that has been used time and time again in major events with great success. This is because Zipp has poured a lot into ensuring that every aspect of 808 is about milking as much speed and aerodynamics out of the wheelset as possible. So, how did it hold up? The 808 really is a joy to ride, this much is clear from the very beginning. If you are looking to pick up some major speed, the flat ground is your best bet. Once you get up to a certain speed, you really don’t feel like you need to be doing much work at all. This is good as you are not quickly exhausted riding on the wheelset for a long time. The 808 is just light enough to be decent climbers. That being said, you will be better off on shorter slopes. However, the stiffness really does help to push the bike up with little to no flex or give. The descents are just incredibly fun. This wheelset really comes into its own when you are hit with bad weather, or at least, this is what I felt. The aerodynamic features came into play, and the wheelset gave no inclination that it was battling crosswinds. With barely a murmur, I was able to continue. To that effect, the braking capabilities of the 808 were surprisingly good. Clearly, Zipp has been working some of the kinks out and it really shows. Overall, the Zipp 808 offers one of the best racing experiences you can imagine. It may leave you feeling light in the pocket but will be worth the investment.